"File", then "New" and click "Project", then select "ASP.NET Web Application Template", then provide the Project a name as you wish and click on OK. Step 2: Add model class. 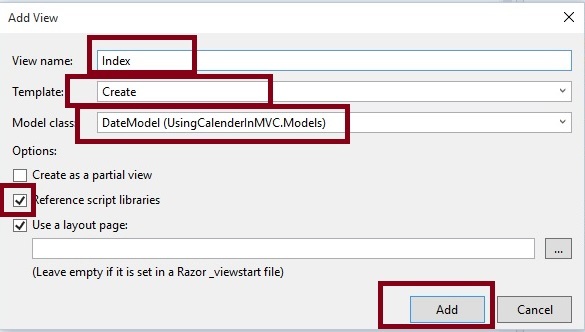 In the above code, The only action result method named Index handle the user request when the user request for the view named Index.cshtml which will be added later . Step 4: Reference jQuery UI. 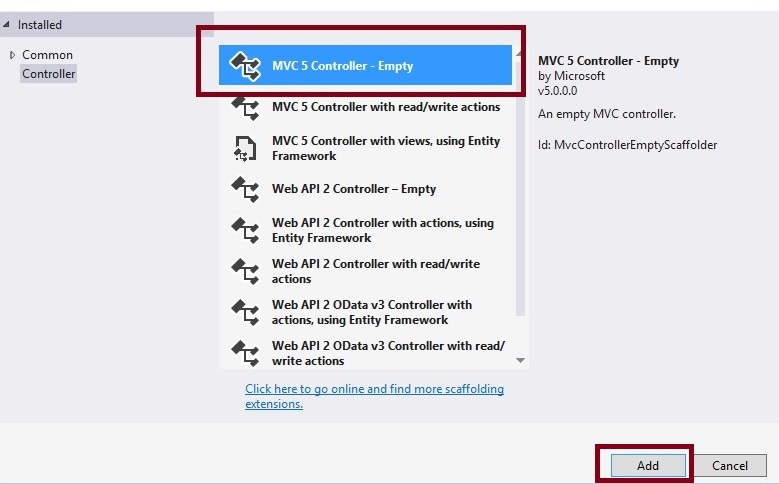 Using NuGet package manager, you can install library and reference into the project. Use CDN library provided by Microsoft, jQuery, Google or any other which requires active internet connection. Download jQuery files from jQuery official website and reference into the project. In this example we will use jQuery CDN library. yearRange: It sets the year range for calendar control such as how many past and future years to display in calendar. minDate : It sets the minimum date for calendar control . 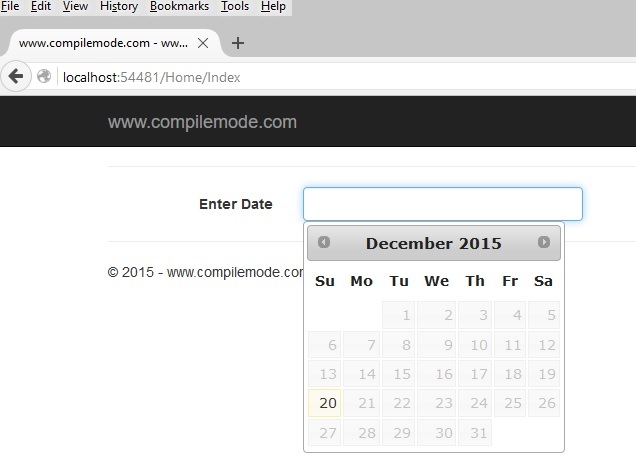 maxDate : it sets the maximum date range for calendar control . In the preceding screenshot you can see that only five dates are available including current date. 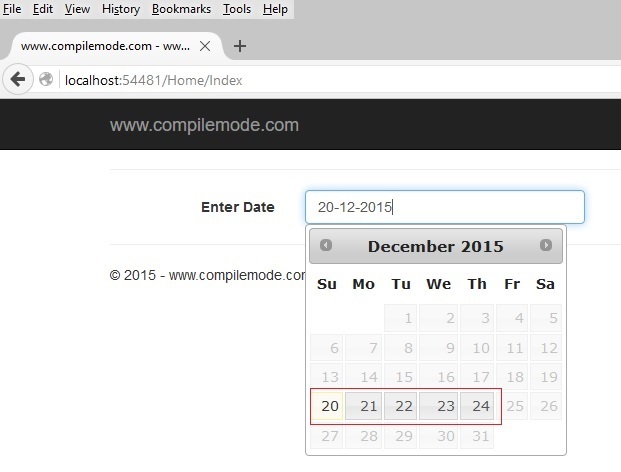 From all the preceding examples, I hope you learned how to disable past and future dates using jQuery UI calendar control in ASP.NET MVC. For the detailed code, please download the sample zip file. You need to use the jQuery library and if you are using CDN library then it requires active internet connection . I hope this article is useful for all readers. If you have a suggestion then please contact me.